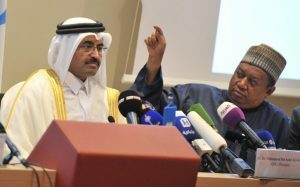 The target of the Organization of Petroleum Exporting Countries (OPEC) to reduce the total output by 1.2 million barrels per day is expected to be missed as a source within the oil cartel revealed that “compliance (regarding the agreement to cut output) won’t be 100%, it never is.” Oil producing countries are hoping that reducing their daily output will help to increase prices. The source stated that compliance with the agreement would be acceptable if is around 50% and good when it reaches 80%. Kuwait’s oil minister fixed it at more than 60% based on the statements that have been provided by oil producing countries. Libya and Nigeria are exempted from the agreement while Iran is adamant that it has to reach its pre-sanctions level before it can consider output cuts. The low oil prices have affected most of the oil producing countries because their economies are heavily dependent on the sector. The situation, which has been ongoing for more than two years, has forced some of the countries to adopt austerity measures and embark on economic reforms as their foreign reserves dwindle. Top exporter Saudi Arabia and Kuwait said they had cut production by more than their commitment. Compliance with the commitment is voluntary because OPEC doesn’t have the means to enforce the reduction of output. Kuwait said it is trying to “lead by example” as the head of the compliance monitor committee, its oil minister Dr. Ali Al-Omair, stated. “There is a concern about Venezuela and Iraq not being committed to the cuts,” said an industry source involved in the global cut talks, adding that Russia appeared to be complying with the deal. Oil prices have rose to around $56 a barrel as it continues to recover after hitting prices as low as $20. Written by: Jaber Ali on January 16, 2017. Posted by Jaber Ali on Jan 16 2017. Filed under Energy, Headlines. You can follow any responses to this entry through the RSS 2.0. Both comments and pings are currently closed.